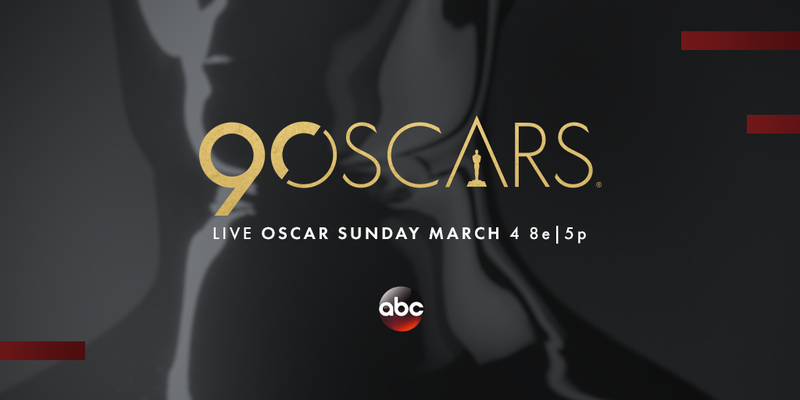 The 90th Oscar Nominees have been announced and we have your complete list of the nominees. This year's nominees didn't have too many suprises. "The Shape Of Water" led the way with 13 nominations, with "Three Billboards Outside of Ebbing Missouri" close behind with 9 nominations. I'm really excited to see Kumail Nanjiani and Emily Gordon get their first Oscar Nominations for "The Big Sick", as well as Jordan Peele with 2 Nominations for "Get Out". Jordan Peele's Directing nomination for "Get Out" makes him only the 5th black director to get the nomination. However, no black director has ever won the award. I think it's time to make some history! Congrats to all of this years nominees! 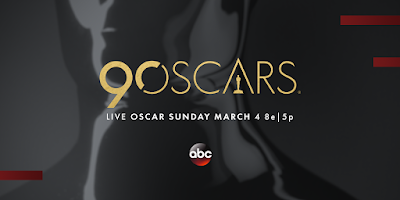 The Oscars will air LIVE Sunday, March 4th on ABC from the Dolby Theater. 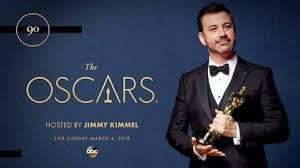 This years Awards will again be hosted by one of our favorite late night hosts, Jimmy Kimmel.